So you wanna tell a visual story ... where do you begin? Should you take a photo? Curate a photo gallery? Make a GIF? Edit a video? Illustrate it? Animate it? Put a map on it? It’s hard to know when to what! In a story with visuals on it, the visuals are basically decorative. You’re probably hoping to add some variety or, more likely, to get more clicks on Facebook. 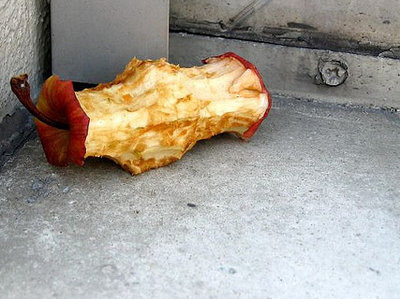 For example, in a story about the common core … a literal picture of an apple core. This is the worst thing ever. In a visual story, you are writing with visuals — showing rather than telling. The images, charts, illustrations, etc., supplant or add meaning to the words. 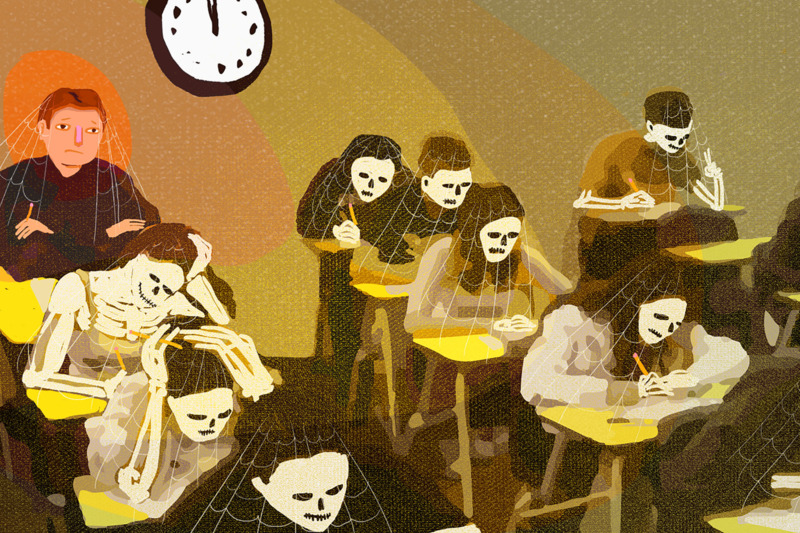 For example, in a story about excruciating common core tests, an illustration conveys the feeling of being stuck in a classroom for-ev-er. There are many statements you may arrive at. The statement will help inform what kind of visual treatment is appropriate — and how elaborate it needs to be. In other words, your story is basically about the visuals. Maybe it’s an arts story. Use secondary media, like text and/or audio, only as connective tissue to tell it. … like how to make artisanal hash oil. You could photograph a person doing it. But even better would be to photograph the actual stages of the process. Or illustrate it. Sometimes motion also helps. Like, you want to show what the action looks like in the sport of curling — or how to swallow pills. GIFs are the quickest, most share-able and mobile-friendly way to do that. Way more efficient than video in many contexts. Maybe it’s a chart or an infographic. Maybe it’s a sequence that shows stages of a chart — walking through the salient points. Here’s a great example of narrated data. If you want to display change over time, maybe some animation is involved. The key thing to remember here is: A chart alone is not a story. It tells part of a story, but the audience needs your help getting the point. Sounds like the perfect occasion for illustration! Photography can be used creatively. But the thing to avoid is literal representation (e.g. the apple core). You don’t want to see and say the exact same thing. 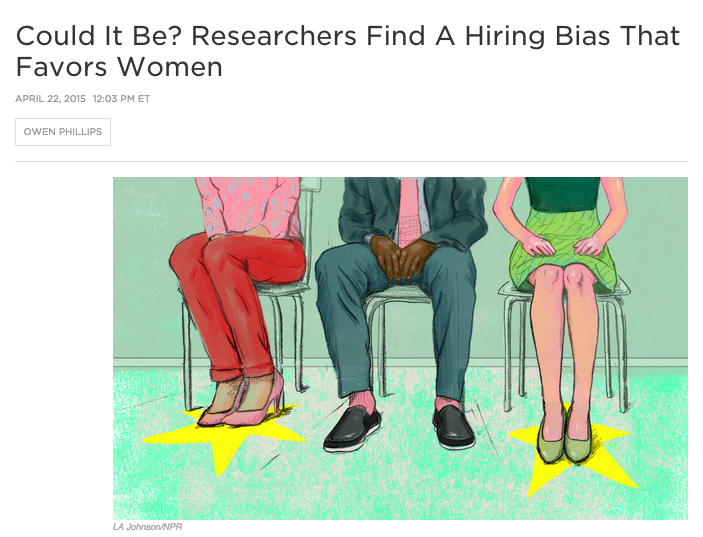 For a story about bias, you could look for iStock photos of people (please don’t) — but an illustration better expresses the point. 5.) This is about PEOPLE! Portraits! You can get creative there, too. What do we need to know about the person? Straight-up what they look like? Or … what they do for a living? Where they live? What they own? You might want to photograph them in context (environmental portrait). Or you might want to use photos of other things in their life to paint a metaphorical “portrait of” what this person is all about. You are now approaching video-land. Or audio-driven stories — enhanced with some visuals. The key thing here: If you have great audio, and that is the point, don’t try to force it into something else. Perhaps you’ve noticed there’s been no mention of video. Or quizzes. Or interactives. That’s because they are super time-intensive and often not worth it. And because your story should determine the visual expression, not the other way around. “Interactivity” and “multimedia” can be cool — if the story warrants it. But those things can also be completely unnecessary — or even detrimental to the narrative. The takeaway: The first step in digital storytelling is not deciding what you want to make. 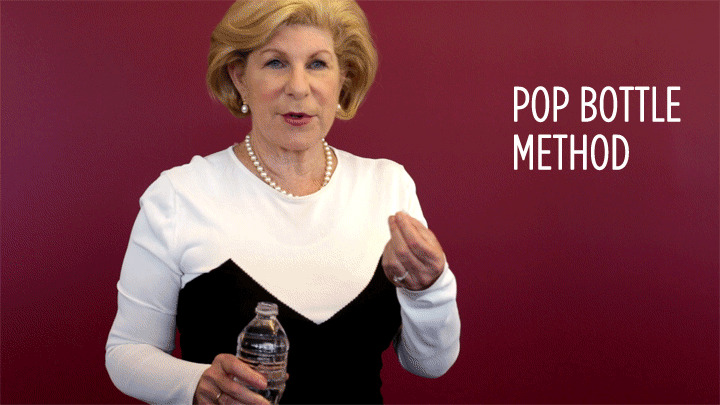 It’s figuring out what you want to say — and the best way to say it. Claire O’Neill is a former editor on NPR’s Visuals team.